Under heading of “Impact Investing” Tides acknowledges making direct land purchases on auspice of protecting lands. Tides Center dba Rocky Mountain Wolf Project is notably supported by three other heavy-hitters of environmental activism: Turner Endangered Species Fund (TESF), Sierra Club, and the global Nature Conservancy. The Rocky Mountain Wolf Project (RMWP) is a driving force and organizing entity behind attempts to bring wolves to Colorado. Six states are included in the Rocky Mountain Range—Idaho, Montana, Wyoming, Utah, Colorado, and New Mexico—but Colorado is the main focus of RMWP at this time. RMWP’s website includes an infographicwhich depicts wolves present in all the Rocky Mountain States except Colorado, and labels Colorado the “missing link” in the U.S. north to south wolf range. The primary motive of RMWP appears to be wolf preservation, but the money behind this entity hints at an alternate objective. RMWP boasts a 27-member Science Advisory Team which includes 17 professors, mostly retired; and the organization claims to “Disseminate Science-Based Information.” The site offers tools for educators, videos of wolf advocates, and a library of e-books which are only accessible by providing personal information to the organization. The site makes claims and shares data about wolves, but is remarkably void of reference to scientific sources other than broad inference connected to their Science Advisory Team. Contrary to RMWP’s public positioning as a resource for facts and science-based information about the gray wolf, RMWP’s website contains a wholesale disclaimer and legally-worded statement designed to remove liability for the accuracy of their content. Hidden in their website’s “Terms of Service”, RMWP discredits itself by divesting the organization of any accountability for the accuracy or reliability of statements or materials found on the website. This broad disclaimer and limitation of liability is covert but fair warning to teachers who use RMWP’s educational content, and should be an alert to media who rely on this organizaton as a quotable source. Many of RMWP’s Science Advisory Team sell books and collect income related to their wolf advocacy. RMWP’s website also provides wolf merchandise for sale by donation. However, despite claiming to be non-partisan, income for RMWP’s sale of merchandise is oddly set up to be tax-deductible through ActBlue. ActBlue is a known left-leaning partisan organization which provides funding platform and fundraising support to the Democratic party’s various political campaigns. At the bottom of their website, in fine print, RMWP states the following: The Rocky Mountain Wolf Project is a fiscally sponsored project of The Tides Center. Initial impression is Tides Center, also referred to as Tides Foundation, is a primary funder of the RMWP organization. However, the relationship of RMWP and Tides is not that of a beneficiary organization and benefactor—The Tides Center is Rocky Mountain Wolf Project. According to the Colorado Secretary of State, the Rocky Mountain Wolf Project is actually: The Tides Center dba Rocky Mountain Wolf Project. The Rocky Mountain Wolf Project is a front name for Tides, or as they like to define it, “a fiscally sponsored project.” Rocky Mountain Wolf Project is not a stand-alone entity, RMWP is actually Tides which is based in California. RMWP does not have its own 501(c)3 designation. RMWP doesn’t even appear to have its own Board of Directors, which may be reason for the emphasis given to the Science Advisory Team. According to a recent article in Breitbart News, “Tides is a central funding hub that distributes donor funds to far-left organizations. Indeed, Tides is one of the nation’s biggest funders of progressive organizations.” Tides is essentially wholly funded by radical-left philanthropist George Soros, and it is a companion organization to the Soros Open Society Foundation. According to Tide’s own website, this mega funder is not specifically focused on wolves or even wildlife. Tides is focused on achieving “a world of shared prosperity and social justice” with global giving in 2016 of $223.6 million per the Tides website. Under heading of “Impact Investing” Tides acknowledges making direct land purchases on auspice of protecting lands. Tides Center dba Rocky Mountain Wolf Project is notably supported by three other heavy-hitters of environmental activism: Turner Endangered Species Fund (TESF), Sierra Club, and the global Nature Conservancy. Both the Turner Endangered Species Fund and Sierra Club are actively lobbying and fundraising to import Canadian wolves to Colorado, despite the Colorado Parks and Wildlife service’s opposition. The Nature Conservancy’s role is to also serve as the funding source for wolf depredation compensation in Colorado. At the Durango Wolf Symposium held November 29, 2018 at Fort Lewis College, several representatives of RMWP’s Science Advisory Team hinted wolf depredation compensation in Colorado would not come from taxes, and FLC professor Andrew Gulliford later clarified the Nature Conservancy is the entity which will supposedly compensate Colorado farmers for livestock losses from wolves. Turner Endangered Species Fund (TESF): Mike Phillips is the TESF’s Executive Director, he is also on the Rocky Mountain Wolf Project’s Science Advisory Team and is a lead figurehead for RMWP. The focus of TESF, and companion organization Turner Biodiversity Divisions, is not just wolves and not just endangered species either. Per their own website, the Turner Endangered Species Fund is, “dedicated to conserving biological diversity by ensuring the persistence of imperiled species and their habitats with an emphasis on private land,” (bold treatment added). These three mission-aligned nonprofits which support the Tides Center’s Rocky Mountain Wolf Project—Turner Endangered Species Fund, Sierra Club, and Nature Conservancy—share features of social justice and environmental activism. They’re definitely not uniformly focused on wolves, although the wolf does appear to be a useful tool in their joint mission. So, what exactly is the joint mission, what is the motive if not wolf preservation? From an aerial view there is a tangible, and overarching unifying theme more specific than just nature or the environment—land. Habitat, refuge, park, landmark, forest, range, scenic byway, viewshed, historic landscape, preserve, private property. . . Acquiring and exerting influence and control over land is a high priority for this organizational triumvirate which is operating in tandem to support the Rocky Mountain Wolf Project. The alternate objective of the money behind RMWP appears to be land. Further examination of this land-based theory for wolf introduction will be covered in the next article in the series: The Wolf is A Decoy. 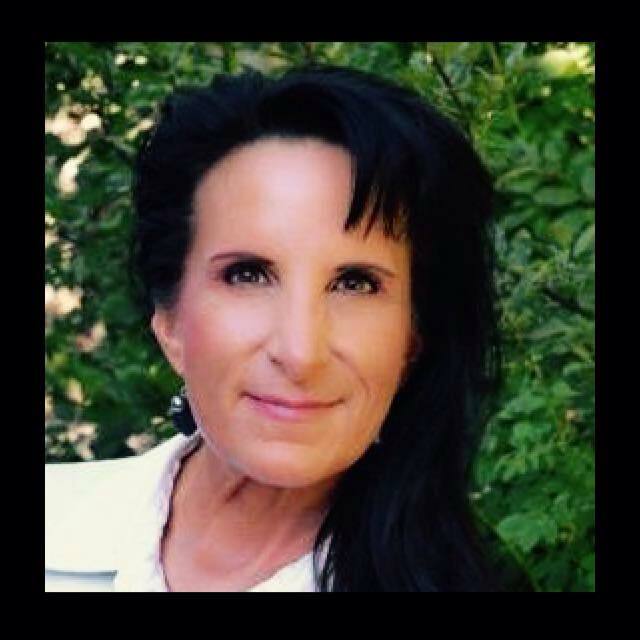 Naomi Dobbs is a freelance writer, from southwest Colorado. She’s focused on topics impacting rural communities, including land use and property rights, plus farming and ranching and political concerns. Our loyalty is to the truth and to YOU, our readers! We respect your reading experience, and have refrained from putting up a paywall and obnoxious advertisements, which means that we get by on small donations from people like you. We’re not asking for much, but any amount that you can give goes a long way to securing a better future for the people who make America great. For as little as $1 you can support Free Range Report, and it takes only a moment. What is so wrong with trying to restore some of the USA to wilderness, or pre-Settlement natural areas? I live in Illinois. We have only 1% of 1% left of prairie….even though we were nearly completely prairie pre- European Settlement. Our precious wetlands have been drained for agriculture. The bison, the bears, the elk, the wolves were all extirpated from Illinois in the 1800s. I understand that 5 generations of settlers worked hard to change the land out there in the west. They shed blood, sweat, and tears to create ranches, mines, towns, railroads, dams, and irrigation. But this has all destroyed the natural environment. What is so wrong in wanting to conserve the little tiny bits that are left? Native Indigenous humans were able to live alongside wildlife for thousands of years, despite also managing the land for food, water, etc. their societies burned the prairies, grew foods, and also engineered irrigation. Yet they believed the land was sacred, and not to be owned by humans, and that wildlife were their brothers and sisters. There was deep respect for all life around them. I understand that you are afraid some group is going to steal your land, opand you are fearful of changes. But your ancestors took the stolen lands the government gave you in the homestead act. You decided to wipe out any predators, and change the land to suit your needs. By changing your land, and spreading iwenershop over miles and miles you ultimately harmed wildlife territories, migration routes, and killed everything that was of danger to you. Just because wolves and cougars, coyotes, and eagles, live near humans, with the proper food chain…of deer and elk, and other wildlife in BALANCE, there would be no worry of livestock being preyed upon. However, when so many thousands of acres are owned and ranched, there simply is no place for the wildlife to exist. Why not embrace creating more natural habitats to co-exist with you. I would think it would give economic value to your property. I would think that encouraging tourism to wilderness and natural areas within your state, would serve to help you economically, as well as spiritually, and emotionally. Ranching folks just seem to hate most wildlife, or th8nk only to kill them in sight, but they also live in wonderful wild places where wildlife traditionally lives! I only wish you could move to a big city for a month. Perhaps you could realize just how precious and honorable it is to live amongst wildlife versus crowded cities full of chaos, pollution, and humans. I have spent over a decade fighting to protect, and restore natural lands. I have worked hard, in blazing heat, in freezing cold, in many laborious restoration endeavors. I have worked with wildlife, and with these groups you mention above. I can understand your fears and viewpoints, but I also know we need to save the little bits we have left of our precious, rapidly vanishing natural world. This includes all the species ranchers love to hate.